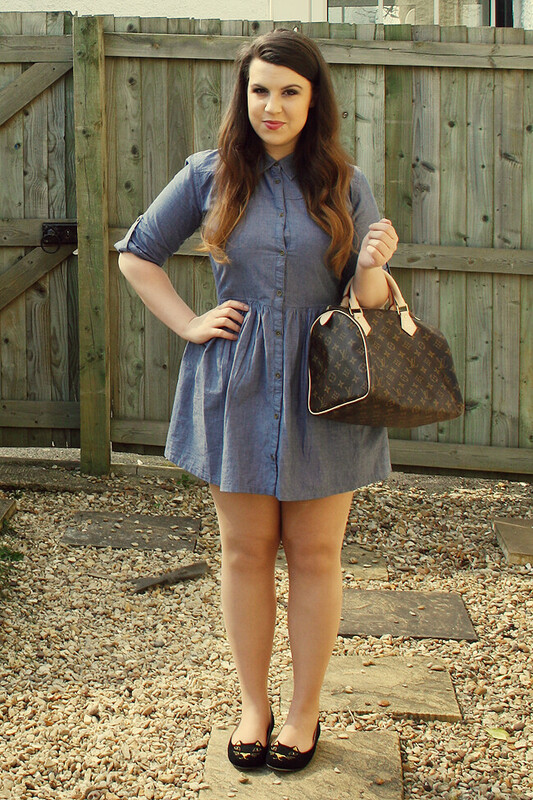 I picked this denim dress up from Primark last week for the tiny price tag of £10! It's my first size 12 dress too so i think i'll always have a soft spot for it and the fact it's perfect for the warmer days which are finally starting to make an appearance, yay! I purchased my LV over in New York on 5th Ave. I nearly had a heart attack spending that much money but hey, you only live once right?! 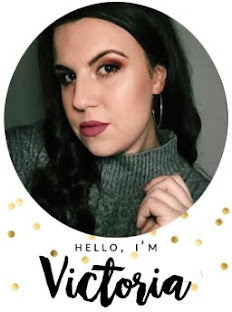 I decided to get in personalised with VIP too, which as always makes me look incredibly arrogant! Loving these kitty flats from Choies, they are the Charlotte Olympia replicas but of course cheaper and i lovelovelove them! Apologies for lack of eBay post this yesterday, i did have the post all lined up but my photoshop crashed and i just didn't have time to start it all again as i had plans Saturday night. I ended up having a lovely weekend which always makes Mondays even more rubbish and i'm already looking forward to the next one which will hopefully just as fun! We finally have the interwebz connected now which means blog posts every day! I'm so excited to get back in to my routine, i always feel totally thrown off when i'm not sticking to it and after having a busy month it's time to get my feet back on the ground and back to the day job, i hope you've missed me! The dress looks lovely on you :) beautiful bag ! What a cute dress, Looks gorgeous on you! You should be very proud on your first dress size 12! I love this dress! I havent been to primark in so long. Im due a visit! The cat shoes are adorable too. Hooray For You! I remember when I lost a lot of weight getting into a size 12 felt amazing and such a exciting goal post! Oh my gosh those shoesss! They are so cute! And that dress looks super on you - I think I need a Primark trip!! I love the denim dress you're wearing :D the shoes are so cute! You've just made me want to go and buy that dress now! You look lovely, such a gorgeous figure too! adore adore adore this look on you! I see this and think I could pull off a denim dress...but girl, I know that I can't! major props to you because you look amazing! Love this look! Primark have have the same material in a skirt, great piece for s/s13! Well don't you look amazing, I feel like saying that has less worth because I say it for every post but I really do mean it! The dress is great, I would love something like that, it's the right level of feminine for me, haha! I love this outfit and I am OBSESSED with those flats! you look INCREDIBLE! and that dress has my name alllll over it, i give it a week before i get one! Lovely outfit! Those Shoes are the cutest ever! I am adoring those shoes! I want! 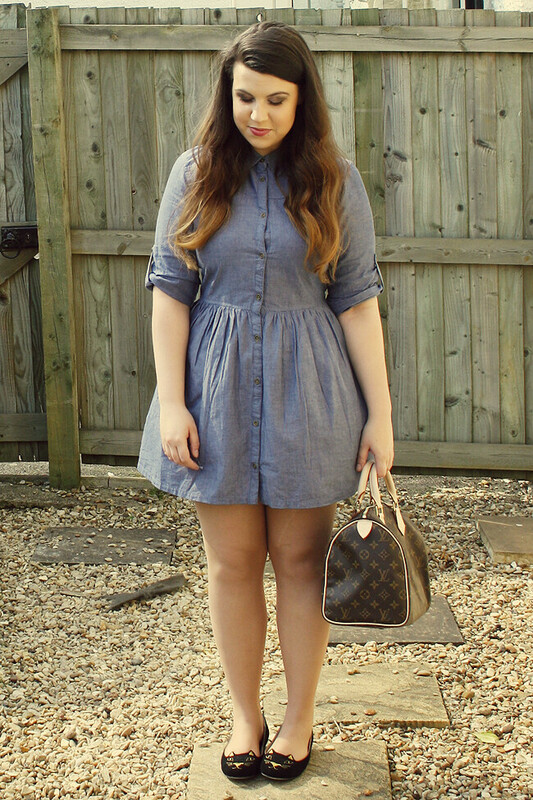 wow, I now want a denim dress! oh those shoes!! I love your style! You look absolutely incredible. Seeing how amazingly well you've done has pushed me back onto my diet. Serious well done, I know how hard it can be! I saw this denim dress on the hanger and was a bit on the fence but seeing it on you and how great it looks, I think I'm going to have to make a speedy trip back and pick it up!